The Old Testament is the foundation of the Holy Scriptures. Though our personal scriptural study is incomplete without the knowledge provided by this canonized book, studying and understanding the Old Testament can often be difficult. 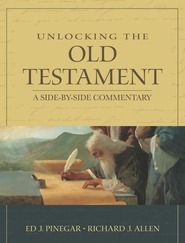 Now with the help of Ed J. Pinegar and Richard J. Allen, you'll look forward to Old Testament study as you gain a deeper understanding of the earliest of our standard works. I'm sorry I disparaged this book in the review some years ago. It is probably what most members are seeking in content to aid in teaching, and the book itself is beautiful, nice addition to coffee table or display shelf when not in use. Unlike other commentaries on the Old Testament, this book is organized according to the lesson material in the Gospel Doctrine teacher's manual. There are also sections organized by prophet and other topics, but the part that is most helpful to me is the lesson material. It does not provide in-depth explanation to any particular verses or history, but it is well-organized according to theme and lesson topics. I find this book to be the one I use the most as I prepare my lessons each week. If you are looking to apply the principles of the Old Testament to your daily life you may find this commentary very helpful. If you are searching for an in-depth scholarly study and historical background you may be disappointed. This volume brings forth spiritual insights to the OT text through well organized topics,quotes and personal stories that relate to the the key topics & values taught in the OT.This volume was a great resource. I'm so disappointed I paid money for this book. The book format is like a syllabus or outline for a religion course with absolutely no substance or information. Instead of following the Old Testament text in depth, there are a bunch of random quotes from General Authorities and modern day prophets which I don't think necessarily flow with the Old Testament text. I guess if you like jumping all over the place in your scripture reading you might not mind it, but I find it so distracting. Oh, there are some good modern day cheesy stories to boot. The book's themes and ideas are all over the map. The book has A.D.D and needs a dose of ritalin. 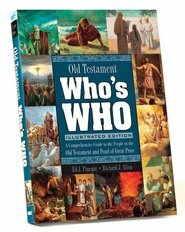 I am teaching Old Testament and was hoping to find a book that added interesting historical background information and insight helps me understand the Old Testament text and teach it as a more interesting and focused lesson. Do not buy this book if you are looking for a companion study for the Old Testament.